Antoine Tamestit has won two awards at the 2019 BBC Music Magazine Awards, winning in the Premiere category for his recording of Jörg Widmann Viola Concerto and in the Chamber category for Harmonia Mundi's album of Debussy's three sonatas. "Tamestit makes the viola sing like a lost soul... searing playing"
"It’s like no other viola concerto I know...[Tamestit] obviously relishes the unconventional challenges... It’s ingenious, it’s witty, it’s challenging, it’s theatrical, and it is beautifully written and realised." Tamestit also featured on Harmonia Mundi's Debussy: The Three Sonatas, which won in the Chamber category. Tamestit recorded the composer's Sonata for Flute, Viola and Harp alongside Magali Mosnier and Xavier de Maistre. Check back again soon to read our exclusive interview with Tamestit about his award win. Antoine Tamestit reunites with the Staatskapelle Dresden and his friend and long-term collaborator Frank Peter Zimmermann this month, performing at the Salzburg Easter Festival on 18 April 2019. Together they perform Mozart Sinfonia Concertante, which they performed in Dresden in March. "Zimmermann’s partner, Antoine Tamestit, makes for an ideal partner, not least for his lightness of touch." Antoine Tamestit joins his longtime musical partner Frank Peter Zimmermann in Dresden this month to perform Mozart Sinfonia Concertante with the Staatskapelle Dresden on 24 March 2019. Tamestit then travels to Stuttgart, where he ends March with two concerts with the SWR Symphonieorchester. Sir John Eliot Gardiner joins the Orchestra dell’Accademia Nazionale di Santa Cecilia for three concerts marking the 150th anniversary of the death of Hector Berlioz on 14, 15 and 16 March 2019. The concerts mark Gardiner’s debut with the orchestra, and he conducts a programme of Dvorák Symphony No.7 alongside Berlioz Roman Carnival Overture and Harold in Italy with Intermusica's Antoine Tamestit. "What the French viola player Antoine Tamestit and John Eliot Gardiner’s Orchestre Révolutionnaire et Romantique contrived to do in Berlioz’s Byronic symphony... was sensational." “... thrillingly dynamic, poetic and kaleidoscopic in colour. Berlioz has no idea what he missed." Gardiner and Tamestit are both greatly involved with the commemorations of Berlioz's death this season. Read a recent Bachtrack interview that Gardiner gave about the anniversary here, while Tamestit wrote a feature on Harold in Italy for the same publication. Click here to read the article. Gardiner returns to the Accademia Nazionale di Santa Cecilia in May 2019 to perform Handel Semele with his English Baroque Soloists and Monteverdi Choir. The Barbican has announced its 2019/20 classical season with a promise to deliver ‘a year of life-affirming musical experiences’. Among the highlights is Yuja Wang, selected for the Barbican’s ‘Artist Spotlight’, who will perform solo and chamber repertoire across four concerts. On 18 November, Wang gives the London premiere of John Adams Piano Concerto, Must the Devil have All the Good Tunes (a work written especially for her) with the Los Angeles Philharmonic and Gustavo Dudamel. On 21 November, she appears alongside Andreas Ottensamer, Principal Clarinet with the Berlin Philharmonic. On 13 January, Wang performs with Gautier Capuçon in a concert featuring Chopin Introduction et polonaise brillante. The Spotlight series culminates in a solo recital on 31 March 2020: click here for complete details. Antoine Tamestit has been selected for the London Symphony Orchestra’s Artist Portrait and will showcase his musical inspirations across three concerts. Sticking close to this season’s theme of ‘roots and origins’, he begins with a work written for him – Jörg Widmann’s Viola Concerto – on 19 April with Daniel Harding. On 11 June, Tamestit performs Berio Voci with François-Xavier Roth and three days later, the Walton Viola Concerto (which Tamestit refers to as his ‘special concerto’) with Alan Gilbert. The Portrait also includes four chamber concerts at LSO St Luke’s in May and June – click here for more details. Richard Egarr and the Academy of Ancient Music begin their Beethoven 250 anniversary celebrations with the composer’s complete incidental music for Goethe’s Egmont on 2 October. They will be joined by violinist Viktoria Mullova on 20 November for Bach Violin Concerto No.1 alongside orchestral and vocal works by CPE Bach, JS Bach, Haydn and Grimani. Following Egarr’s critically acclaimed performances and recording of Castello’s First Book of Sonatas in 2016, he will conduct the Second Book in a concert on 22 April. Following lauded Mendelssohn and Schumann cycles, Sir John Eliot Gardiner returns to the London Symphony Orchestra on 20 October, this time bringing together three works that define the ‘Czech sound’ – Janáček Ballad of Blaník and Glagolitic Mass along with Dvořák The Golden Spinning Wheel. Conductor and orchestra will then perform Suk Symphony No.2, 'Asrael', and Dvořák Cello Concerto with soloist Truls Mørk on 24 October. In the space of just one week in May, Gardiner and his Orchestre Révolutionnaire et Romantique will perform all of Beethoven Symphonies: starting with No.1, scheduled alongside Creatures of Prometheus on 11 May, the cycle will conclude on 16 May. Also appearing in the Barbican’s 2019/20 classical season are pianists Daniil Trifonov (30 Apr 2020) and Kirill Gerstein (6 June 2020); conductors Martyn Brabbins (1 Nov 2019) and Ben Gernon (2 May 2020); singers Marta Fontanals-Simmons (3 Oct 2019), Lise Davidsen (10 Feb 2020), Mary Bevan (19 Mar 2020) and Tim Mead (10 Apr 2020); as well as Colin Currie (23 Oct 2019), Ning Feng (13 Feb 2020) and Simon Halsey, in his role as Choral Director of the London Symphony Orchestra and Chorus. Intermusica will tour the Oslo Philhamonic with Vasily Petrenko in October, marking their 100th anniversary season with concerts across major cities in Europe. They will appear at the Barbican on 22 October to perform Strauss Don Juan, Shostakovich Symphony No.10 and Grieg Piano Concerto in A minor with Leif Ove Andsnes. Click here for complete season details. 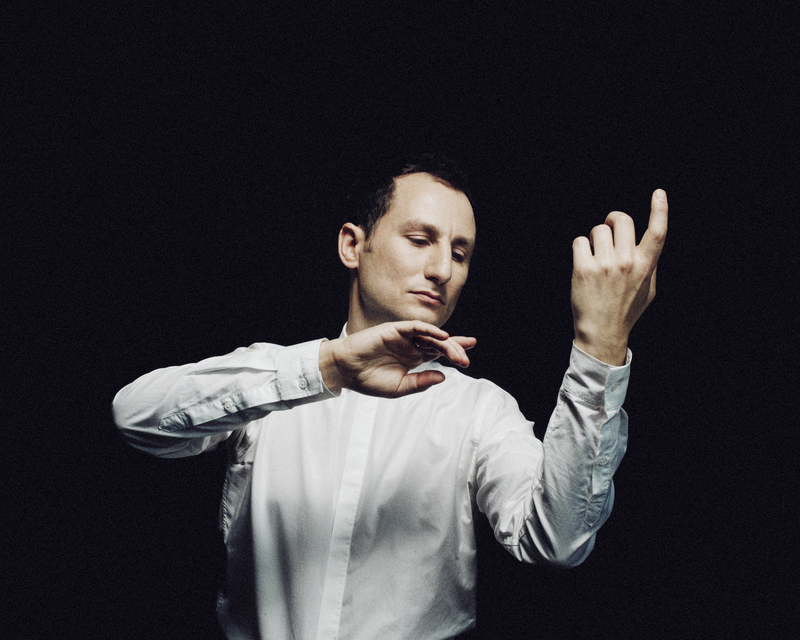 Antoine Tamestit has been announced as the focus of the London Symphony Orchestra's Artist Portrait for the 2019/20 season, beginning on 19 April 2020. The portrait includes three concerto performances at the Barbican and also four recitals at LSO St Luke's, including one with Intermusica's Colin Currie. Tamestit opens the portrait with a performance of Jörg Widmann Viola Concerto under the baton of Daniel Harding. The concerto was written for Tamestit and he and Harding recorded it with the Symphonieorchester des Bayerischen Rundfunks for Harmonia Mundi in February 2018. Tamestit also performs Berio Voci under François-Xavier Roth and Walton Viola Concerto with Alan Gilbert on 11 and 14 June 2020. Tamestit's four recitals at LSO St Luke's include Brahms with the Arod Quartet, Widmann, Mozart and Schumann with Jörg Widmann and Dénes Várjon, Bach and Ligeti with Masato Suzuki and Berio with Colin Currie. Tamestit performed Harold in Italy under the direction of Sir John Eliot Gardiner last year, at the BBC Proms in London and Carnegie Hall in New York. He next performs the work on 27 and 28 February with Daniel Harding and the Orchestre de Paris. "The violist Antoine Tamestit was the beguiling soloist in that work, stalking the stage and turning a duet with a solo horn into a tête-à-tête at the back of the orchestra." “It moves from melancholy to happiness, joy and even pride, by way of spirituality, faith, enthusiasm, love and even anguish and fear, before ending happily in a place none other than at the heart of a string quartet!" Antoine Tamestit joins François-Xavier Roth and the Wiener Symphoniker for a series of performances around Austria this month culminating at the Bregenz Festival on 24 January 2019. They also perform at Vienna's Musikeverein on 19 and 20 January and in Graz on 21 and 22 January. "What the French viola player Antoine Tamestit and John Eliot Gardiner’s Orchestre Révolutionnaire et Romantique contrived to do in Berlioz’s Byronic symphony Harold in Italy was sensational." Antoine Tamestit performs with the SWR Symphony Orchestra for the first time as Artist in Residence under the baton of Teodor Currentzis. Tamestit performs Schnittke Concerto for Viola and Orchestra across Germany, beginning in Stuttgart on 13 and 14 December before going to Mannheim on 16 December, Dortmund on 18 December, Hamburg on 19 December and finally Freiburg on 21 December. Antoine next performs with the SWR Symphony Orchestra on 2 February 2019 in Freiburg, leading the orchestra not only as soloist, but also as conductor, featuring pieces by Bach, Hindemith, Britten and Brahms. Antoine Tamestit joins forces with harpsichordist Masato Suzuki for a recital tour of Europe. The duo perform a programme consisting entirely of Bach, including his three Viola da Gamba Sonatas. Elsewhere this month Antoine Tamestit will perform with the NDR Elbphilharmonie Orchestra on 30 November for a sold-out concert at the Grosser Saal in Hamburg. The programme will feature Tamestit playing Voci (Folksongs II) by Berio. Antoine Tamestit joins Tabea Zimmermann in Tokyo on 19 October 2018 to perform Bruno Mantovani’s Concerto for Two Violas with the Tokyo Metropolitan Symphony Orchestra under Ono Kazushi. The following day Tamestit and Zimmermann perform a duo recital at the Musashino Cultural Foundation performing works by Bartók, Bach, George Benjamin and more. Tamestit regularly appears in Japan in his role as co-Artistic Director of the Tokyo International Viola Space Festival, which he runs with Nobuko Imai. Sir John Eliot Gardiner and the Orchestre Révolutionnaire et Romantique return to the United States this month, performing the works of Berlioz in Chapel Hill and Ann Arbor as well as in two concerts at New York's Carnegie Hall from 10 October 2018. The tour features two programmes: in Chapel Hill and the first concert at Carnegie Hall on 14 October Gardiner and the orchestra are joined by Antoine Tamestit for Harold in Italy and mezzo-soprano Lucile Richardot for La de Cléopâtre and "Ah! je vais mourir" from Les Troyens. The concert in Ann Arbor on 12 October and at Carnegie Hall on 15 October features a programme of Symphonie fantastique and Lélio, ou le Retour à la Vie with tenor Michael Spyres and bass-baritone Ashley Riches. "The performance of Harold in Italy was even more eye-opening. The excellent viola soloist, Antoine Tamestit, roved around the orchestra as Harold and the scenes he witnesses on his Italian travels are rarely as pictorially vivid as this. With his Orchestre Révolutionnaire et Romantique on top form Gardiner was by turns thrillingly dynamic, poetic and kaleidoscopic in colour. Berlioz has no idea what he missed." Following the concerts in the United States, Gardiner and the orchestra return to Europe for concerts at the Concertgebouw, Opera Royal de Versailles and Philharmonie de Paris. On 12 September, Antoine Tamestit will return to the Berlin Philharmonie for a chamber concert at the Musikfest Berlin. He will join Isabelle Faust, Anne Katharina Schreiber, Danusha Waskiewicz, Jean-Guihen Queyras and Christian Poltéra for a performance of Schoenberg’s Verklärte Nacht. Sir John Eliot Gardiner and his Orchestre Révolutionnaire et Romantique reunite on 31 August 2018 for a series of all-Berlioz performances, starting at the Festival Berlioz in France. Following a concert at Hamburg's Elbphilharmonie on 2 September, they return to the BBC Proms on 5 September. At the Festival Berlioz and BBC Proms, Gardiner conducts the overture to La corsaire, La mort de Cléopâtre, Harold in Italy and arias from Les Troyens sung by Joyce DiDonato. In Hamburg, Harold in Italy is replaced by Symphonie fantastique. They are joined for the concerts by Antoine Tamestit, who performs as soloist in Harold in Italy. Tamestit and Gardiner performed the piece together in 2015 with the Bavarian Radio Symphony Orchestra – click here to watch behind-the-scenes footage and interviews with both artists. While at the Festival Berlioz, Gardiner also conducts a performance of Bach Cantatas on 29 August with the Monteverdi Choir and English Baroque Soloists. 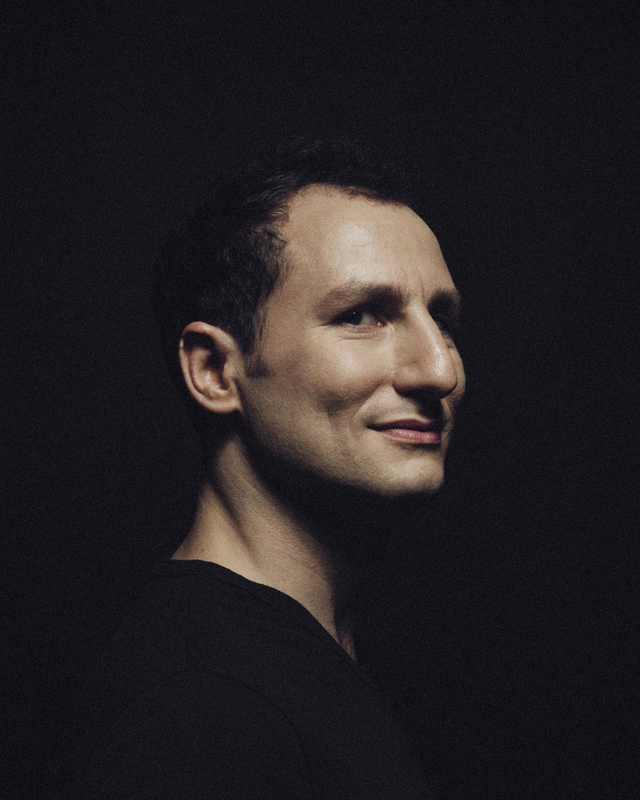 Antoine Tamestit returns to Canada this month to perform at the Domaine Forget festival in Quebec on 11 August. Performing with the Quebec Symphony Orchestra and Fabien Gabel, Tamestit is the soloist in Hummel Potpourri for Viola and Orchestra. Also on the programme are Debussy Sarabande and Tarentelle styrienne as well as Tchaikovsky The Tempest and Swan Lake orchestral suite. While at the festival, Tamestit also leads masterclasses during the week, with a public masterclass in the morning of 7th August. Antione Tamestit returns to the Frankfurt Radio Symphony Orchestra this month, bringing his season-long artistic residency to a close with two concerts on 23 and 24 June 2018. The performances also mark the opening of the Rheingau Music Festival and see Tamestit perform Berlioz Harold in Italy. Tamestit's residency has been a great success and has featured performances of concertos by William Walton, Jörg Widmann and Luciano Berio. Watch his performance of the Walton Viola Concerto conducted by Manfred Honeck below. Antoine Tamestit makes his debut with the Seoul Philharmonic Orchestra on 24 May 2018 performing Walton Viola Concerto with conductor Olari Elts. Click here to watch Tamestit's performance of the concerto with the Frankfurt Radio Symphony Orchestra and Manfred Honeck. Elsewhere this month, Tamestit play/directs the MDR Kammersymhpnie Leipzig in a programme of Telemann, Schnittke and Brahms in three performances on 11, 12 and 13 May. He also performs Hummel’s Potpourri "Fantasy" for Viola and Orchestra with the Vienna Chamber Orchestra and François Leleux on 15 & 16 May. After his concert in Seoul, Tamestit travels to Japan for the annual Festival Viola Space, of which is he is co-Director. Antoine Tamestit continues his residency with the Frankfurt Radio Symphony this month when he returns to perform Walton’s Viola Concerto under the baton of Manfred Honeck on 22 and 23 March 2018. Tamestit's residency in Frankfurt has been a great success and has featured two play-direct concerts of Mozart, Brahms, Schnittke and Telemann as well as performances of Berio Folk Songs with Matthias Pintscher and Jörg Widmann Viola Concerto. Click here to watch Tamestit's performance of the Widmann concerto in January. Elsewhere this month, Tamestit reunites with his colleagues in Trio Zimmermann, Frank Peter Zimmermann and Christian Poltéra, for a European tour. During their tour they visit Madrid, Berlin, Paris and Dresden and perform Schoenberg String Trio and Bach Goldberg Variations. Antoine Tamestit follows the release of his recording of Jörg Widmann's Viola Concerto last week with a European tour of the work with the Orchestra de Paris and conductor Daniel Harding. The tour begins at the Konzerthaus Dortmund on 11 March and also visits Cologne, Brussels and Luxembourg. The work was composed for Tamestit and premiered with the Orchestre de Paris in 2015. He recorded the concerto for Harmonia Mundi with Harding and the Symphonieorchester des Bayerischen Rundfunk, and you can click here to watch Tamestit's world premiere performance. "It’s like no other viola concerto I know... [Tamestit] obviously relishes the unconventional challenges... It’s ingenious, it’s witty, it’s challenging, it’s theatrical, and it is beautifully written and realised." In February and March, Tamestit and Harding will perform the concerto on tour with the Orchestre de Paris in Paris, Vienna, Dortmund, Luxembourg, Cologne and Brussels. Leonidas Kavakos and Antoine Tamestit reunite at the Concertgebouw in Amsterdam on 13 February 2018 for a performance of Brahms Piano Quartets. The line-up for the recital is completed by pianist Yuja Wang and cellist Clemens Hagen. The recital is part of Kavakos' artistic residency at the venue, which also features two performances with Daniele Gatti and the Royal Concergebouw Orchestra in April and a play-direct concert with the Chamber Orchestra of Europe in June. Tamestit returns to the Concertgebouw later in the week to give the world premiere of Thierry Escaich's viola concerto, La nuit des chants, on 17 February. He is accompanied for the premiere by the Netherlands Radio Philharmonic Orchestra, conducted by Stéphane Denève. Antoine Tamestit brings his artistic residency with the Stavanger Symphony Orchestra to a close this month when he play/directs two concerts on 1 and 2 February 2018. The programme includes Mozart Divertimento in D major, K.136/125a 'Salzburg Symphony No.1', Schnittke Monologue for viola and strings, Telemann Viola Concerto in G major, TWV 51:G9 and Brahms String Quintet No.2 in G major, Op.111. Click here to see photos from Tamestit's previous visits to the orchestra this season. Elsewhere this month, Tamestit continues his Viola Portrait at the Konzerthaus Dortmund and gives the world premiere of Theirry Escaich's new Viola Concerto with the Netherlands Radio Philharmonic. Antoine Tamestit joins Sir John Eliot Gardiner and his English Baroque Soloists at the Salzburg Mozartwoche this month, performing Mozart Sinfonia Concertante alongside violinist Isabelle Faust on 28 January 2018. The concert's all-Mozart programme also features the composer's Symphony No.52, 32 and 39. "Eberle and Tamestit matched their sweet tones perfectly, making this a real duet of equals... this was a performance with great elegance and beauty." "In Mozart’s Sinfonia concertante, the excellent combination of Veronika Eberle and Antoine Tamestit echoed each other perfectly." "Antoine Tamestit [was] amazingly deft in the UK premiere of Jörg Widmann’s playfully theatrical Viola Concerto... He reached the conventional soloist’s spot only in the romantic coda — the final resting place of a musical kaleidoscope crammed with crazy pizzicato effects and an orchestra spangled with instrumental oddities, from water tam-tam to the slithering contrabassoon. An impish delight, this, brilliantly dispatched." The concert on 19 January will broadcast live on ARTE and the orchestra's website. Click here to watch Tamestit speak about his residency. Tamestit begins 2018 in Frankfurt, continuing his residency with the Frankfurt Radio Symphony Orchestra with two performances of the Jörg Widmann Viola Concerto. He also joins Sir John Eliot Gardiner and his English Baroque Soloists at the Salzburg Mozartwoche, performing Mozart Sinfonia Concertante alongside Isabell Faust. Antoine Tamestit, Artist in Residence of the Wiener Konzerthaus, gives a solo recital at the hall on 3 December 2017. He performs a wide-ranging programme of works by Biber, Ligeti, J.S. Bach, Telemann, Reger and Olga Neuwirth. Tamestit's next performance at the Konzerthaus comes in February when he performs Jörg Widmann Viola Concerto with Daniel Harding and the Orchestre de Paris. He then returns in April for a concert with soprano Christiane Karg and pianist Malcolm Martineau and in May with the Vienna Chamber Orchestra. Antoine Tamestit joins the Ebene Quartet and cellist Antoine Lederlin on tour in Europe this month, starting with a performance at the Berlin Philharmonie on 16 November 2017. Over the next ten days they also visit the Vienna Konzerthaus, Hamburg Laeiszhalle, Munich Herkulessaal, Bilbao Teatro de la Sociedad, the BOZAR in Brussels, Dortmund Konzerthaus and Florence Teatro della Pergola. The programme for the tour features the 1899 arrangement for string sextet of Schoenberg Verklärte Nacht as well as works by Dutilleux and Salvatore Sciarrino. November is a busy month for Tamestit. Elsewhere he play-directs the Frankfurt Radio Symphony Orchestra in a programme of Mozart, Schnittke, Telemann and Brahms, part of his season-long residency with the orchestra, and he also joins the Finnish Radio Symphony Ochestra to perform the Jörg Widmann Viola Concerto. Antoine Tamestit joins the Frankfurt Radio Symphony Orchestra for two concerts on 11 and 12 November 2017, playing and directing a programme of Mozart, Schnittke, Telemann and Brahms. This play/direct programme is part of Tamestit’s season-long residency with the Frankfurt Radio Symphony Orchestra. In January 2018, he performs Jörg Widmann’s Viola Concerto with the orchestra and Andrés Orozco-Estrada, a piece that he premiered in Paris and has since performed around the world. Other concerts in the residency include Berio Folk Songs with Matthias Pintscher in February and Walton Viola Concerto with Manfred Honeck in March. The residency is just one of four for Tamestit this season. He is also resident with the Stavanger Symphony Orchestra, Vienna Konzerthaus and Konzerthaus Dortmund. As part of his residency in Stavanger, Tamestit performs in recital, giving a masterclass, directing the orchestra from the viola, and performing the Walton viola concerto with Andris Poga. Antoine Tamestit gives his debut performances in Australia and New Zealand this month, beginning his tour of the two countries with the Queensland Symphony on 23 September 2017. Tamestit performs Berlioz Harold in Italy throughout the tour, performing with Andre de Ridder and the Tasmanian Symphony Orchestra on 29 September before travelling to New Zealand for concerts with James Judd in Wellington on 6 October, Christchurch on 11 October and Auckland on 13 October. Click here to watch a clip from the concerto's 2015 world premiere. Tamestit performs the concerto on several occasions this season: with the Stavanger Symphnoy in October 2017, Finnish Radio Symphony in November, Frankfurt Radio in January 2018 and on tour with the Orchestre de Paris in February. He gives further performances of the piece with the Leipzig Gewandhaus Orchestra on 15 and 17 September. Antony Hermus returns to the Concertgebouw on 31 August 2017 to conduct the Netherlands Radio Philharmonic Orchestra in the final concert of the Robeco SummerNights festival. ‘Last of the Summernights’ features a varied programme of orchestral works by composers including Copland, Ravel and Tchaikovsky, as well as overtures and arias from operas by Mozart, Rossini and Bizet. The Netherlands Radio Philharmonic Orchestra is joined by soloists including violinist Nemanja Radulovic and mezzo-soprano Karin Strobos. Antoine Tamestit, Frank Peter Zimmermann and Christian Poltéra reunited for two performances as Trio Zimmermann this month, starting with a return to the Edinburgh Festival on 23 August 2017. The trio performs Schoenberg String Trio and an arrangement of Bach Goldberg Variations at the Queen's Hall. Antoine Tamestit ends the month with a return to the Verbier Festival, beginning with a chamber recital at the Salle des Combins on 30 July 2017. The recital features string quartets and quintets by Mozart, Fauré and Dvořák and a line up of violinists Dmitry Sitkovetsky and Roman Simović, cellist Misha Maisky and pianist Evgeny Kissin. Tamestit performs again on 3 August, this time at the Église de Verbier. He joins Leonidas Kavakos, Mischa Maisky and Nikolaï Lugansky in performances of Brahms Viola Sonata No.2 in E flat major and Piano Quartet No.3. Tamestit returns to Verbier Festival not only as a performer: once again, he joins the Verbier Festival Academy Faculty, working with musicians to encourage ‘an interdisciplinary approach which opens horizons for curious, emerging professional concert artists’ (Verbier Festival). Antoine Tamestit joins the City of Birmingham Symphony Orchestra and their Chief Conductor Mirga Gražinytė-Tyla at the Aldebugh Festival on 17 June 2017 to give the UK premiere of the Jörg Widmann Viola Concerto. Widmann’s Viola Concerto was composed for Tamestit, and he premiered it with the Orchestre de Paris and Paavo Järvi in 2015. He has since performed the concerto with the Swedish Radio and Bavarian Radio orchestras conducted by Daniel Harding, and the Danish Radio Symphony Orchestra conducted by Joshua Weilerstein. "One of the most gifted french musicians of the era… The work is made to measure for Tamestit, his style of playing, his tone, his personality." Click here to watch a clip from the world premiere of the Widmann Viola Concerto. Antoine Tamestit returns to London this month for a recital at Wigmore Hall with Cedric Tiberghien on 12 June 2017. Tamestit collaborated with Tiberghien for his latest recording, Bel Canto, released earlier this year. Together they perform a programme drawn from the recording, which features works by Berg, Brahms, Berg and Vieuxtemps. "Tamestit – carefully supported by Cedric Tiberghien’s considerate pianism – draws a veritable rainbow of colours from the Strad’s sonorous C string... The CD’s bel canto theme comes full circle with Mazas’s Le songe...its idiomatic writing brings out the best in Tamestit, the lyric tenor." "[Tamestit] creates lines that would leave some of his colleagues out of breath. The sound fizzes and flows until it filled the room... he creates magic with a huge breadth of colours and wonderfully warm viola tone." Tamestit and Tiberghien travel to Dublin, where they perform a similar programme at the Great Music in Irish Houses Festival on 14 June. Antoine Tamestit returns to the MDR Leipzig Radio Symphony Orchestra on 5 and 7 May 2017, when he joins the orchestra and Karl-Heinz Steffens at the Theater Erfurt and Leipzig Gewandhaus for performances of Schnittke Monologue for viola and strings. Tamestit then heads to Sweden to make his debut with the Gävle Symphony Orchestra on 19 May, performing Berlioz Harold in Italy under the baton of Jaime Martín. In addition to the concerto, Weilerstein conducts Shostakovich Hamlet Suite and Rachmaninov Symphonic Dances. 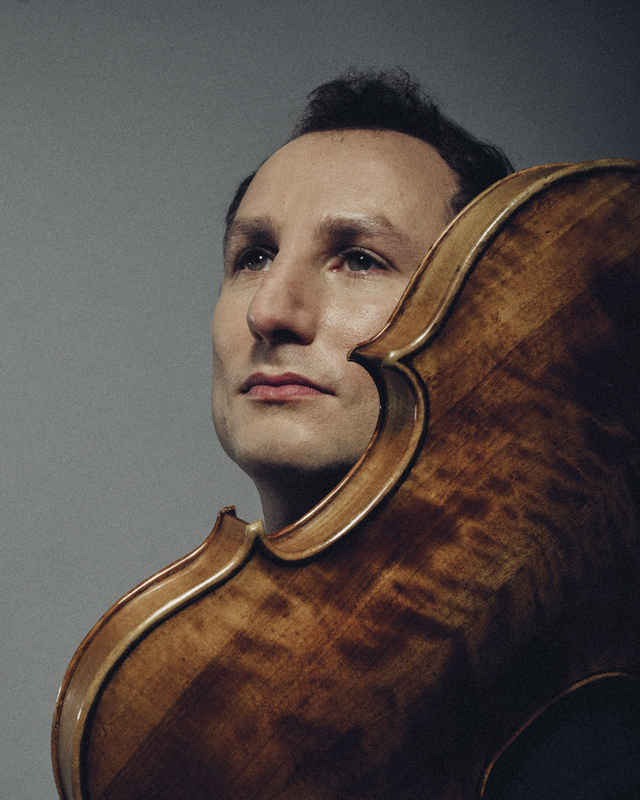 Antoine Tamestit returns to the London Symphony Orchestra on 23 April 2017 to perform the Bartók Viola Concerto, conducted by François-Xavier Roth. The concert will be broadcast on BBC Radio 3. Tamestit and the orchestra then travel to Vienna for a performance at the Wiener Konzerthaus the following day. Antoine Tamestit returns to New York this month for a solo recital at The Frick on 9 April 2017. Tamestit performs a programme of Biber, Ligeti, Bach, Telemann and Reger, and the recital will be broadcast on WQXR. Before his recital, Tamestit also returns to Philadelphia's Curtis Institute of Music for a series of masterclasses, including one public masterclass, between the 6 and 8 April. Tamestit then returns to London to perform Bartók Viola Concerto with the London Symphony Orchestra and François-Xavier Roth on 23 April. Antoine Tamestit and Cédric Tiberghien perform in recital at the Konzerthaus Berlin on 21 March 2017, following a concert in Arnhem the previous day. Tamestit and Tiberghien perform a programme of works by Fauré, Paganini, Brahms, Vieuxtemps and Berg. Two works from the programme, Viola Sonata in B-flat major and Capriccio 'Hommage à Paganini' by Vieuxtemps, feature on Tamestit and Tiberghien's recording Bel Canto, which was released by Harmonia Mundi in February this year. Click here to watch Tamestit and Tiberghien perform Vieuxtemps and Liszt at the Auditorium de Louvre in Paris, recorded in 2015. Antoine Tamestit returns to London on 16 March 2017 to perform Mozart Sinfonia Concertante at the Royal Festival Hall with the Philharmonia Orchestra. Tamestit performs the piece alongside violinist Veronika Eberle, with direction from Vladimir Ashkenazy. The concert is preceded by a performance at the Marlowe Theatre, Canterbury, on 15 March. Antoine Tamestit travels to Sweden to perform the Bartók Viola Concerto with the Royal Stockholm Philharmonic Orchestra on 26 and 28 January 2017. The Bartók concerto is a regular feature of Tamestit's season, and he has already performed the work with the Staatsorchester Darmstadt, the Polish National Radio Symphony Orchestra Katowice in October and Orchestre National de Bordeaux Aquitaine in November. While in Stockholm, Tamestit also performs at the Stockholm Concert Hall on 23 January with Zilliacus Persson Raitinen String Trio, presenting a programme of Hungarian repertoire. The programme features Erzsébet Szőnyi Duo for Violin and Viola, Ligeti Sonata for Solo Viola, and György Kurtág Signs, Games and Messages for Solo Viola. Antoine Tamestit play-directs the Orchestra de Chambre de Paris for the first time this month, performing with the orchestra at the Théâtre des Champs-Élysées on 17 January 2017. Tamestit play-directs the orchestra in a programme of Mozart Symphony No.4, Schnittke Monologue for viola and orchestra, Telemann Concerto for viola and orchestra in G major and Mozart Sinfonia concertante for violin, viola, and orchestra. Earlier in the month Tamestit also performs with the Orchestra della Svizzera Italiana on 12 January, performing Martinů Rhapsody Concerto for viola and orchestra at Lugano Arte e Cultura. Antoine Tamestit joins Frank Peter Zimmermann and Christian Poltéra, fellow members of Trio Zimmermann, for a European tour performing Dmitry Sitkovetsky’s arrangement of Bach Goldberg Variations from 12 December 2016. The tour begins in Graz on 12 December and then visits Zürich, Luxembourg, Warsae, Dortmund, Amsterdam, finishing in Milan on 19 December. Prior to this, Tamestit appears at the Berliner Philharmonie with the Deutsches Symphonie-Orchester Berlin and Fabien Gabel, performing Berlioz Harold en Italie. Antoine Tamestit closes November with a return to Japan, starting with a solo recital at Musashino Civic Cultural Hall on 28 November 2016. Tamestit performs a programme of Bach Cello Suites No.3, No.1 and No.2 (transposed for viola), which he repeats at Toppan Hall in Tokyo on 1 December. The following day he joins the Minato Mirai Orchestra at Yokohama's Minato Mirai Hall for a performance of Schnittke Monologue for Viola and Strings. Tamestit is a regular performer in Japan and is co-Artistic Director of the Festival Viola Space, where he performed and gave masterclasses in May. He later returned to the country in October for the 10th anniversary of the Le Pont International Music Festival. Click here for a gallery of photos from his visit to the festival. Antoine Tamestit joins the Orchestre National Bordeaux Aquitaine and conductor Sascha Goetzel for a performance of Bartók Viola Concerto at the Opéra National de Bordeaux on 24 November 2016. Bartok’s viola concerto features strongly in Tamestit’s 2016/17 season, Tamestit having already performed it with the Staatsorchester Darmstadt and the Polish National Radio Symphony Orchestra Katowice in October. He gives further performances this season with Royal Stockholm Philharmonic in January, Netherlands Philharmonic in March and London Symphony Orchestra in London and Vienna in April. Antoine Tamestit returns to Japan this month to perform at the Le Pont International Music Festival at Tokyo's Suntory Hall on 17 October 2016. Tamestit joins performers including Boris Brovtsyn, Emmanuel Pahud, Alessio Bax and Andreas Ottensamer for a programme of Mozart, Glinka, Schoenberg, Martinu and Brahms. Tamestit performs regularly in Japan, where he is co-Artistic Director of the Festival Viola Space. Founded in 1992 by Nobuko Imai, the festival and competition celebrates the instrument and encourages young musicians in their careers. This month Antoine Tamestit performs Bartók Viola Concerto with the Staatsorchester Darmstadt and conductor Will Humburg on 2 and 3 October, and with the Polish National Radio Symphony Orchestra Katowice and Alexander Liebreich on 6 October 2016. The Bartók Viola Concerto features regularly for Tamestit this season, with performances with Orchestre National de Bordeaux Aquitaine in November, Royal Stockholm Philharmonic in January, Netherlands Philharmonic in March and London Symphony Orchestra in London and Vienna in April. Antoine Tamestit, Pierre-Laurent Aimard and Mark Simpson continue their Kurtág recital series this month with performances at the Philharmonie, Cologne and Festival Musica in Strasbourg on 21 and 25 September 2016. The programme features works by Kurtág and Schumann alongside Marco Stroppa’s Hommage à Gy. K and Simpson’s own Hommage à Kurtág. The trio previously performed their Hommage to Kurtág programme at the Edinburgh and Salzburg Festivals in August, with the Guardian praising their "terrifically committed” performances at the Queen's Hall, Edinburgh. Antoine Tamestit celebrates the 90th birthday of Hungarian composer György Kurtág with performances at the Edinburgh International Festival and Salzburg Festival on 12 and 14 August 2016. He joins Pierre-Laurent Aimard and Mark Simpson to perform works by Kurtág and Schumann as well as Marco Stroppa’s Hommage à Gy. K and the world premiere of Simpson’s own Hommage à Kurtág. The performances take place at The Queen’s Hall Edinburgh on 12 August and Stiftung Mozarteum Salzburg on 14 August. The trio reforms in September to perform again in Cologne and Strasbourg. Antoine Tamestit returns to Japan this month for the Festival Viola Space, where he is co-artistic director, from 22 May 2016. Founded in 1992 by Nobuko Imai, the festival and competition celebrates the instrument and encourages young artists. From 22 May until 1 June, Tamestit performs concerts and leads masterclasses in Osaka, Nagoya and Tokyo. This year’s festival features baroque music and the birth of the viola, also including Viola D'Amore, Viola Da Gamba and the Viola Da Spalla. Tamestit’s time in Japan begins with a private meeting and playing session with Crown Prince Naruhito. Following that, he leads masterclasses at Soai University in Osaka on 24 May, Aichi University of Arts in Nagoya on 26 May and Ueno Gakuen University in Tokyo on 28 May. In performance, Tamestit plays works by Biberm Leclair, Marais, Telemann and Bach at Phoenix Hall near Osaka on 25 May, Denki Bunka Kaikan in Nagoya on 27 May and at Ueno Gakuen University in Tokyo on 31 May and 1 June. Antoine Tamestit travels to Taiwan this month to join Gilbert Varga and the Taipei Symphony Orchestra for a performance of Martinů Rhapsody on 21 May 2016. “Antoine Tamestit has once again demonstrated the scale of his talent. Creating a sound which was bronzed yet capable of infinite gentleness, he particularly shone in the cadences reserved for him alone. The panting dash that following the ecstatic calm of the Molto adagio was breathtaking”. Following his performance in Taipei, Tamestit travels to Japan for the Viola Space Festival. In April, Antoine Tamestit embarked on a tour of North America, performing works by Bach, Brahms and Schumann in recital in Denver, Montreal, Quebec and at Kennedy Center, Washington DC. In addition to his performances, Tamestit gave masterclasses at Yale, the Curtis Institute and Manhattan School of Music. "Tamestit concluded with Bach’s second violin partita. Transposed down a fifth from where Bach wrote it for violin, the piece has even more weight and solemnity on the viola, especially the gorgeous final chaconne. An encore of the fourth movement from Hindemith’s solo viola sonata (Op. 25/1) buzzed with energy." "Antoine Tamestit has something of the Pied Piper of the Brothers Grimm about him: he captivates audiences and, when his instrument sings, could convince them to follow to the end of the world... After the main program, Tamestit and pianist Shai Wosner played two pieces inspired by the song of the nightingale, one by Mahler and one by Brahms. Two beautiful and sad songs, driven by unfulfilled love and the memories that torment and beautifully interpreted." Antoine Tamestit joins Lisa Batiashvili, Jean-Guihen Queyras and Jonathan Biss for two performances at the Concertgebouw, Amsterdam, on 13 May and Wigmore Hall, London, on 17 May 2016. They perform a programme of Martinů Duo No.1 for Violin and Cello and R. Schumann 3 Romances, Märchenbilder and Piano Quartet in E-flat major. "In the hands of Antoine Tamestit, his 1672 Stradivarius made the music [Ligeti]’s dusky warmth utterly mesmerising." "Antoine Tamestit was the soloist [in Ligeti's Viola Sonata], producing the richest, most gorgeous sounds from his Stradivarius, particularly in the opening movement, which is confined to the viola’s C string, and dispatching its perpetuum mobile fourth movement with insouciant ease." 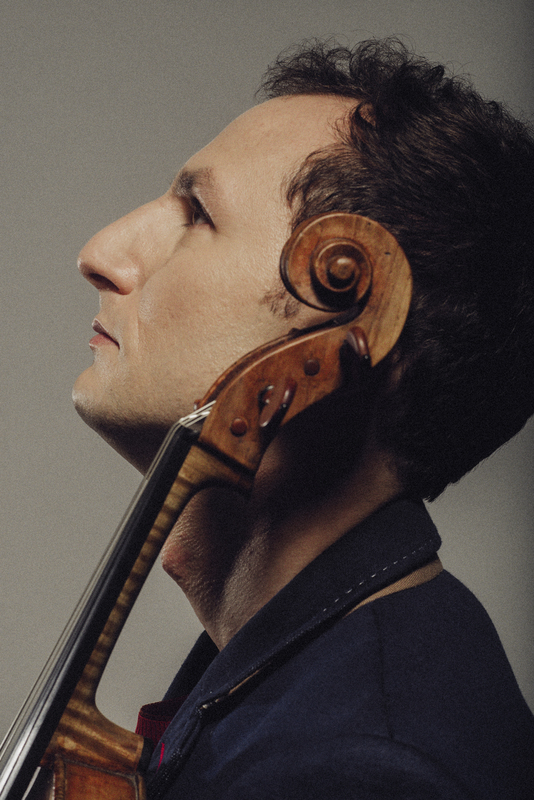 Antoine Tamestit embarks on a North American recital and masterclass tour this month, starting at with a performance of Tamestit's own arrangement of Bach Cello Suites at Millersville University of Pennsylvania on 22 April 2016. He performs the same programme at Kennedy Center, Washington DC, on 24 April 2016. Before the first recital, Tamestit gives masterclasses at Yale (18 April), Curtis Institute (19 April) and Manhatten School of Music (20 April). Tamestit is then joined by pianist Shai Wosner for recitals of works by Brahms and Schumann in Denver (27 April), Montreal (28 April) and Quebec (30 April). Antoine Tamestit and Colin Currie return to London on 19 March 2016 join a stellar line-up in a celebration of Hungarian composers at Wigmore Hall, London. Tamestit performs Kurtag Hommage to Robert Schumann with Matthew Hunt and Cédric Tiberghien, as well as Ligeti Sonata for Solo Viola. Colin Currie performs Bartók Sonata for Two Pianos and Percussion with Cédric Tiberghien, François-Frédéric Guy and Sam Walton, a regular collaborator with Currie in the Colin Currie Group. The foursome completes the programme with the Bartók’s pioneering Sonata, which Currie and Walton recently performed at the Edinburgh International Festival to critical acclaim. Antoine Tamestit continues his series of premieres of Jörg Widmann Viola Concerto by giving the first German performance of the work with the Symphonieorchester des Bayerischen Rundfunks on 3 and 4 March 2016. The concerts are conducted by Daniel Harding, who conducted the Swedish premiere of the concerto with Tamestit and the Swedish Radio Symphony Orchestra in November 2015. The performance on 3 March will broadcast live on BR-Klassik Radio and will be available to listen online afterwards. Tamestit gave the world premiere of the piece, which is dedicated to him by Widmann, with the Orchestre de Paris and Paavo Järvi in October 2015. Click here to see Tamestit discuss the concerto (in French). From 11 February 2016, Antoine Tamestit forms a quartet with Veronika Eberle, Marie-Elisabeth Hecker and Martin Helmchen for concerts at the Laeizhalle, Hamburg, the Concertgebouw, Amsterdam and the Tonhalle, Zurich. The programme for the tour features Piano Quartets by Mozart, Dvorak and Brahms. Antoine Tamestit returns to the Czech Philharmonic on 23 January 2016 to perform Martinů Rhapsody-Concerto conducted by Alexander Shelley at the Rudolfinum, Prague. Earlier this season Tamestit and the Czech Philharmonic took the same concerto on tour with conductor Jiří Bělohlávek, performing in Budapest, Graz and Innsbruck. Click here to see images from the tour. 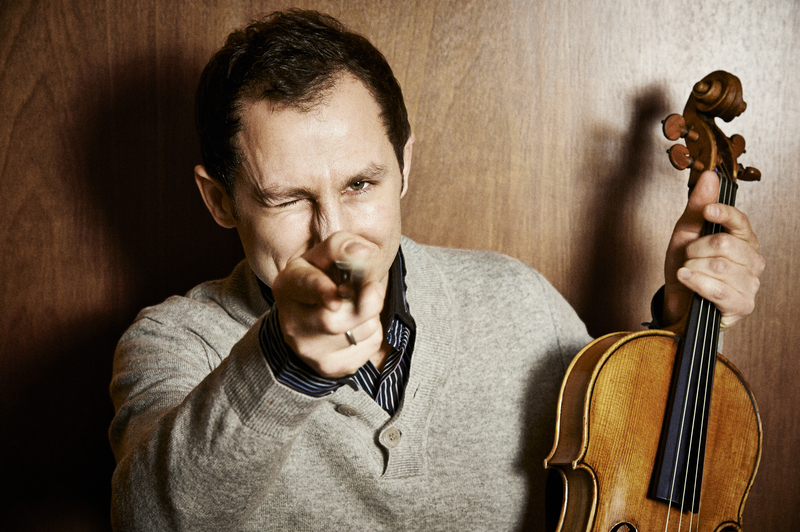 Antoine Tamestit gives the world premiere of Jorg Widmann’s Viola Concerto in Paris on 28 October 2015, alongside Orchestre de Paris and Paavo Järvi. The new concerto, composed for Tamestit, is a joint commission with the Swedish Radio Symphony Orchestra and the Symphonieorchester des Bayernischen Rundfunks. Tamestit will perform the concerto with both orchestras in November and February respectively, with conductor Daniel Harding. Antoine Tamestit makes his debut with the Tonhalle Orchester Zürich on 22 and 23 October 2015 when he performs Martinu’s Rhapsody-Concerto for Viola, conducted by Andrés Orozco-Estrada. Tamestit also performs the Rhapsody-Concerto with the Czech Philharmonic later this season. Antoine Tamestit joins the Junge Deutsche Philharmonie and Principal Conductor Jonathan Nott on their tour between 26 September and 5 October 2015, performing in Bamberg, Frankfurt, Ljubljana, Vienna and Berlin. On tour the orchestra will perform Bruckner Symphony No. 9 in D minor and Sofia Gubaidulina’s Viola Concerto, which was composed in 1996 and is dedicated to Yuri Bashmat. Antoine Tamestit joins the Trio Zimmermann, of which he has been a member since it was formed in 2007, for concerts at the Edinburgh and Salzburg Festivals and Schloss Elmau this August. The programme for all of the concerts includes Schubert’s String Trio in B-flat major D.581, Hindemith’s String Trio No. 2 and Beethoven’s String Trio No. 1 in E-flat major, Op.3. Antoine Tamestit appears at Festival Viola Space in Tokyo between 30 May and 7 June 2015, where he performs in two gala concerts and leads workshops for young violists. Founded in 1992 by distinguished violist Nobuko Imai, the festival and competition celebrates the instrument and encourages young artists. Tamestit will also serve on the competition Jury, alongside Nobuko Imai, Hariolf Schlichtig, Pamela Frank and Ichiro Nodaira. Sir John Eliot Gardiner returns to Munich to conduct two concerts at the Herkulessaal with the Symphonieorchester des Bayerischen Rundfunk on 21 and 22 May 2015. The orchestra will perform a programme of Schubert’s ‘Great’ Symphony in C major and Berlioz Harold in Italy with soloist Antoine Tamestit, and the first concert will be broadcast live on BR-Klassik radio. Gardiner conducted the orchestra in a programme of Haydn, Mendelssohn and Bruckner in May 2014 at the Gasteig, when they were also joined by the Chor des Bayerischen Rundfunks. Watch the full concert here. Antoine Tamestit and Francesco Piemontesi perform with Jörg Widmann at the Muziekgebouw Eindhoven on 15 April, and at Laeiszhalle Hamburg on 16 April. The trio regularly collaborate as chamber music partners and will perform a programme of works including Mozart, Schumann, Bruch, Kurtág and Widmann. On 27 April Tamestit will return to London’s Wigmore Hall for a lunchtime concert which will be broadcast live on BBC Radio 3. The programme includes two Bach Cello Suites which Antoine transcribed for Viola and recorded for Naïve in 2012, plus a new work by Olga Neuwirth. Antoine Tamestit features on the winner of Best Classical Solo Vocal Album at the 2015 Grammy Awards – Anne Sofie von Otter’s Douce France. Tamestit performs on the song version of Dance Macabre and two settings of Loeffler songs. Douce France is a double CD of mélodies and chansons spanning over two centuries of French song. Tamestit’s performance was described as “bewitching” by Musicweb International when the recording was initially released. Antoine Tamestit’s latest recording, of Berlioz Harold en Italie, is released by LSO Live on 9 February. This performance of Harold en Italie was recorded live at a concert in November 2013 with the London Symphony Orchestra and its Principal Conductor, Valery Gergiev. Tamestit said “Maestro Gergiev’s deep musicianship added the sort of instinctive passion one needs with Berlioz and especially with Harold en Italie. All of this was overwhelmingly inspiring for me and made these concerts and recordings a truly unique and unforgettable experience”. Antoine Tamestit travels to New York where he performs two intimate ‘A Little Night Music’ concerts at the Mostly Mozart Festival on 2 and 4 August. Tamestit was so taken by Bach’s Cello Suites the first time he heard them as a young student, he briefly considered switching instrument to the cello. Instead, on 2 August he performs his own arrangement of two of these suites together with Hindemith’s Sonata for solo viola. The second performance, on 4 August, sees Tamestit join Martin Fröst and Shai Wosner to perform Mozart’s Trio in E-flat major ‘Kegelstatt’. Both concerts take place at New York's Stanley H. Kaplan Penthouse. On 19 June, Antoine Tamestit makes his Russian debut with a recital at the Mariinsky Concert Hall in St Petersburg as part of the annual Stars of the White Nights Festival. Tamestit performs a programme of J.S. Bach Cello Suite No.1, Ligeti Hora Lunga, J.S Bach Cello Suite No.3, Hindemith Viola Sonata Op. 25 No.1 (fourth and fifth movements) and Bach Cello Suite No.5. The Stars of the White Nights Festival was created by Valery Gergiev, with whom Tamestit recently recorded Berlioz Harold en Italie for release next year on the LSO Live label. Later in the month, Tamestit joins the Arcanto Quartet at the Aldeburgh festival for two concerts in which they perform the two Brahms Sextets on 26 and 28 June. The concert on 28 June also sees Tamestit and Tabea Zimmermann, violist of the Arcanto Quartet, perform George Benjamin’s Viola Viola. Antoine Tamestit performs Schnittke’s Viola Concerto with the Royal Stockholm Philharmonic Orchestra and Andrés Orozco-Estrada in two concerts on 24 and 26 April. The concerto is one he has performed widely and also recorded for Naïve in 2008, with conductor Dimitrij Kitajenko and the Warsaw Philharmonic. Also in April, Tamestit performs on tour in Europe with the Trio Zimmermann, beginning in Dortmund on 6 April and followed by concerts in Zurich, Berlin, Köln, Amsterdam, Aix-en-Provence, Geneva and Darmstadt. The Trio perform a programme of Beethoven String Trio No.1, Webern Langsamer Satz and Mozart Divertimento K.563.